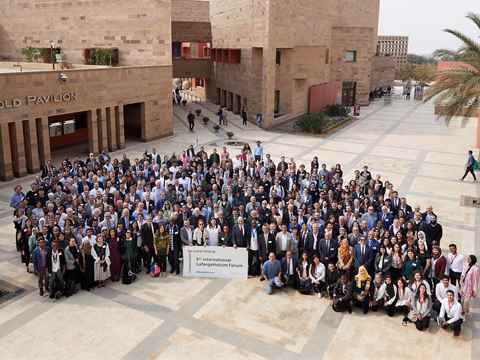 Day Two of the 6th International LafargeHolcim Forum set sustainable construction in the local context beginning with a keynote address by Laila Iskandar, former Minister of Urban Renewal & Informal Settlements, Egypt and continued with mobile (touring) workshops on the themes of Archeology heritage, Water challenges, New vernacular, and Desert cities. Laila Iskandar provided an overview of the detailed mapping of Cairo’s informal waste sector and asserted the same principles could be effectively applied to construction waste because the sources can be defined. 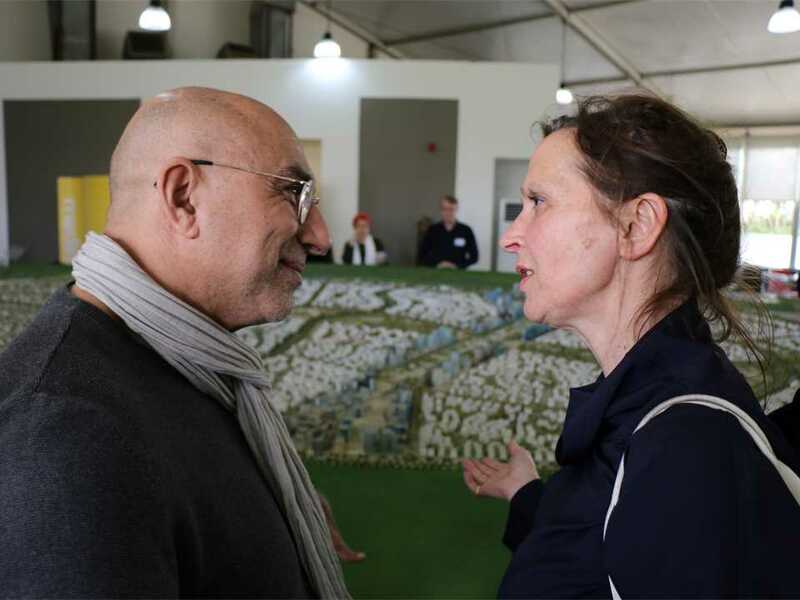 She examined how waste material streams can be leveraged, although re-thinking was urgently required. 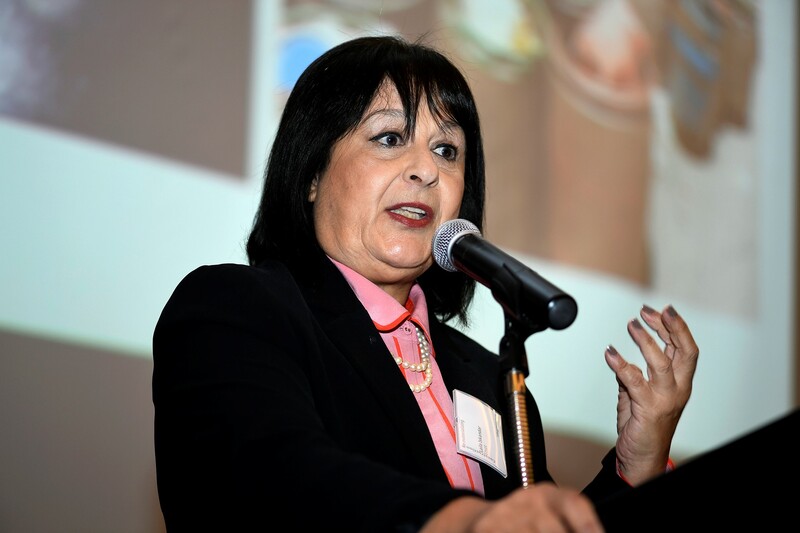 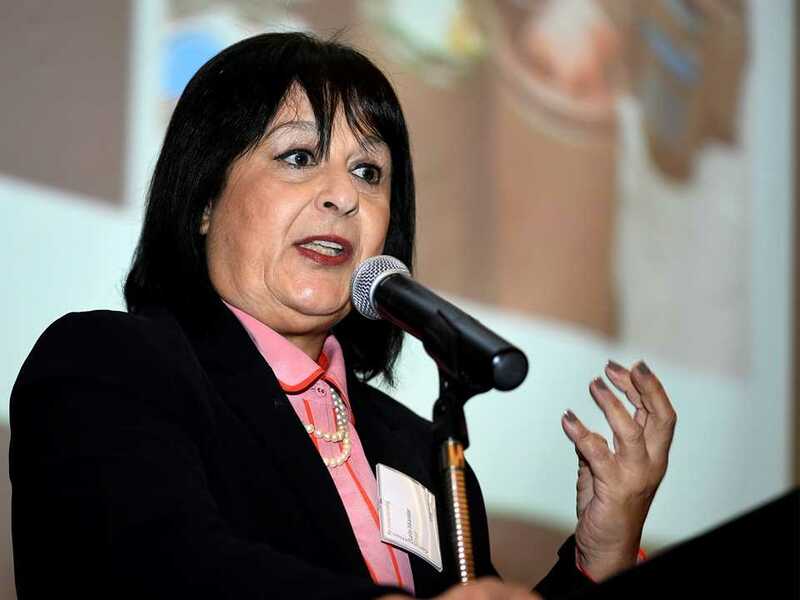 “The formal recycling industry is not accessing, and will not access, valuable resources available in waste streams – because current waste systems are designed to ‘eliminate the waste’ rather than ‘harvest the materials,” she said. 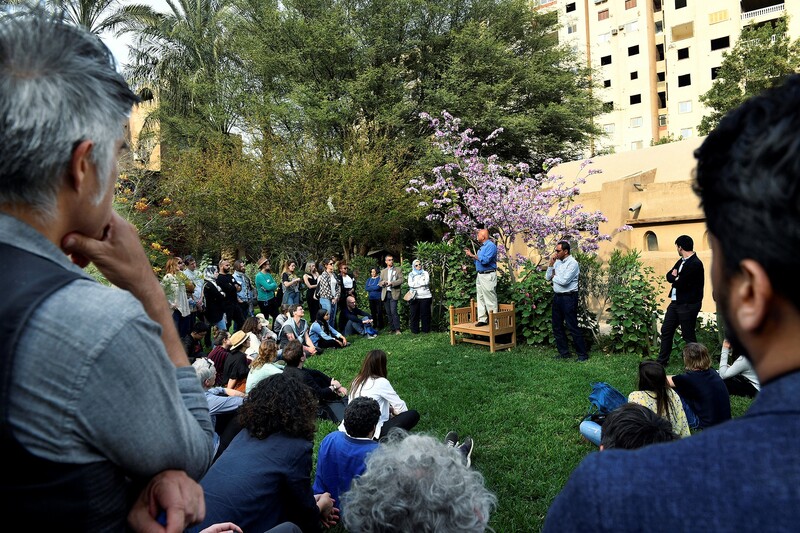 Forum delegates then split into four mobile workshop groups that visited sites in and around Cairo. Archeological heritage – Yellow Mobile Workshop – provided a glimpse into the current efforts of Egypt to save its rich cultural heritage, spanning over 8,000 years. 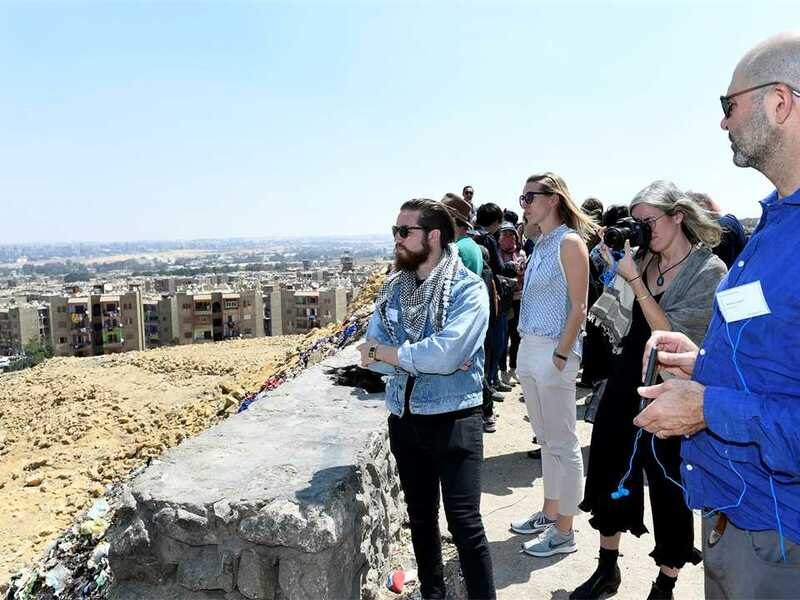 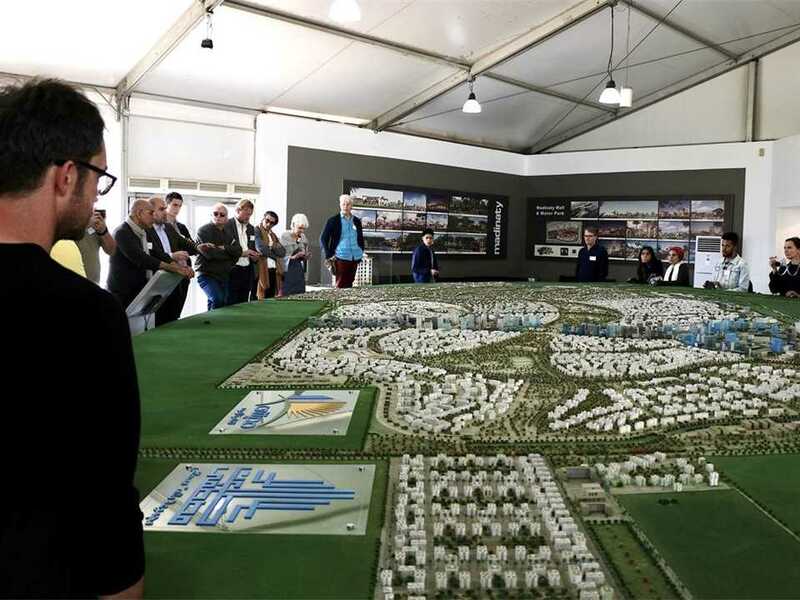 The tour examined current urban regeneration efforts as well as the Egyptian Museum, rehabilitation project at the Giza Plateau, restoration of the Sphinx and mega project of the Grand Egyptian Museum (GEM). 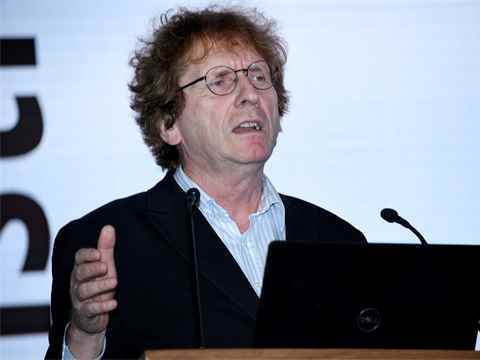 Particular emphasis was given to techniques of archeological restoration and the role of material science in safeguarding and maintaining ancient moments. 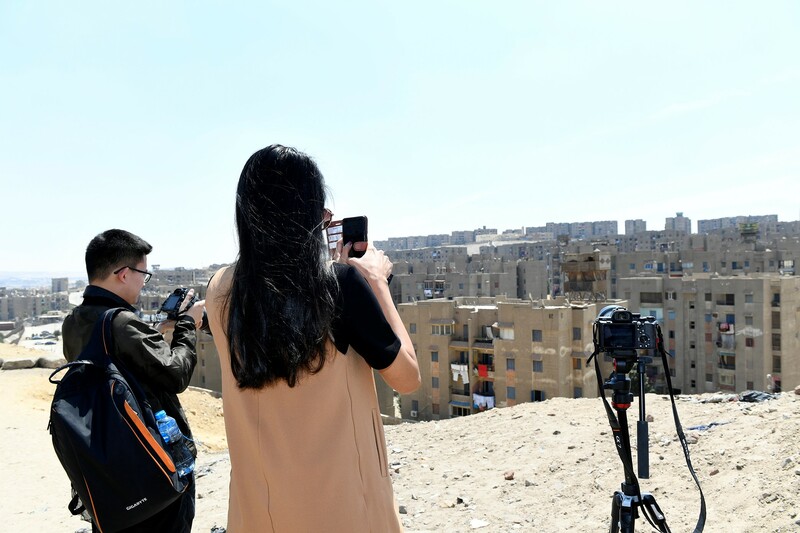 The excursion was led by Dalila ElKerdany, Professor of Architecture, Faculty of Engineering, Cairo University and Chair of the Architecture Committee, Egyptian Supreme Council of Culture; and Riham Arram, Founder and General Manager, Cairo Heritage Preservation Department, Cairo Governorate. 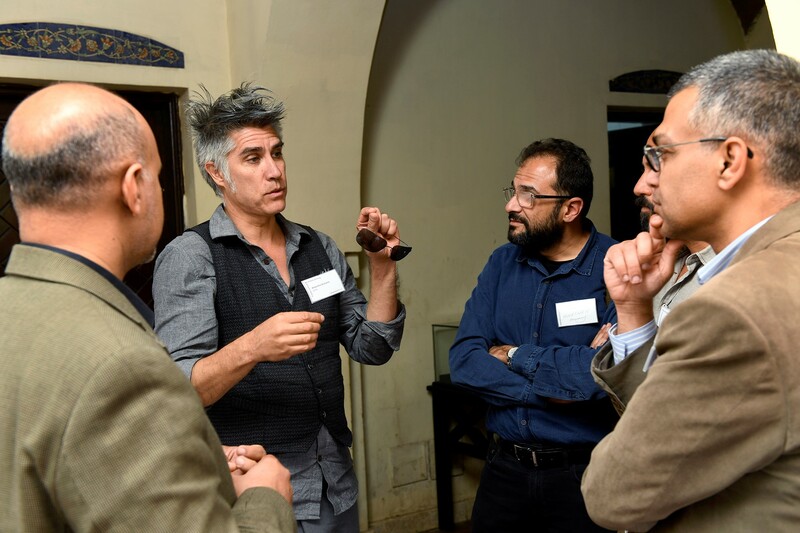 Water challenges – Green Mobile Workshop – gave an overview of the availability of water resources in Egypt and related challenges facing the country. The question of how to manage the Nile, which represents 97% of the country’s water supply, was at the core of the excursion and included how water was managed both in ancient times and today . The tour focused on El Qanater north of Cairo, where the Nile splits into the Damietta and Rosetta Branches marking the beginning of the Nile Delta. 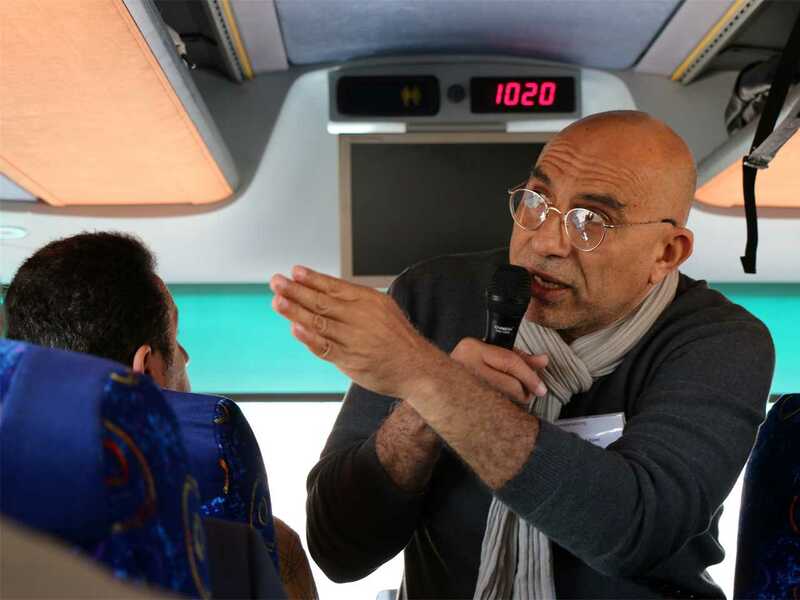 Hani Sewilam, Professor of Water Resources Management & Sustainable Development at the American University in Cairo (AUC) led the excursion. 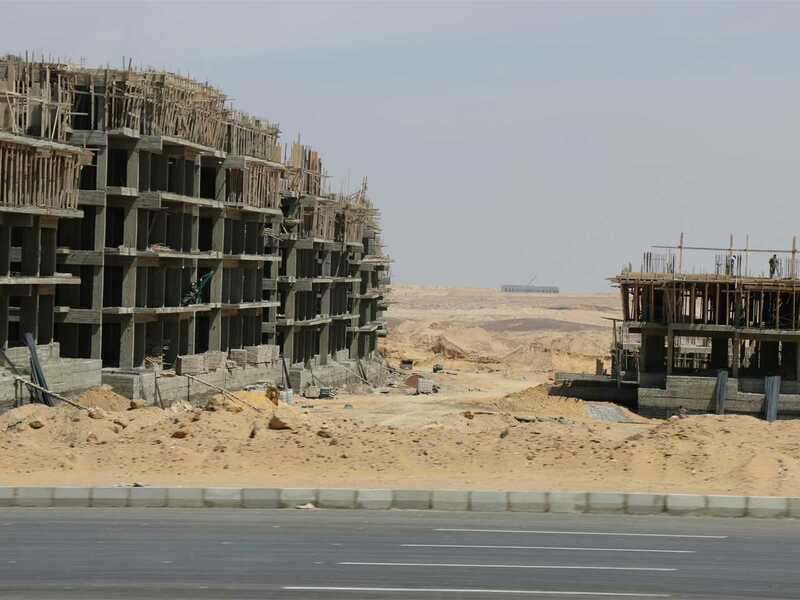 New Vernacular – Blue Mobile Workshop foregrounded the important role of traditional construction methods and materials in the production of Egypt’s building stock both in the past and today. 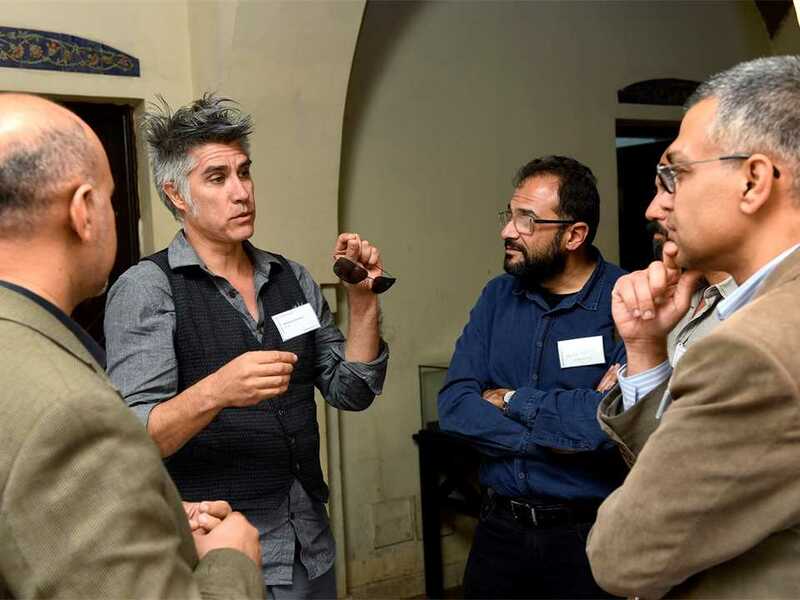 The emergence of a new vernacular in popular urbanization, centered on the use of structural concrete with brick infill was examined. 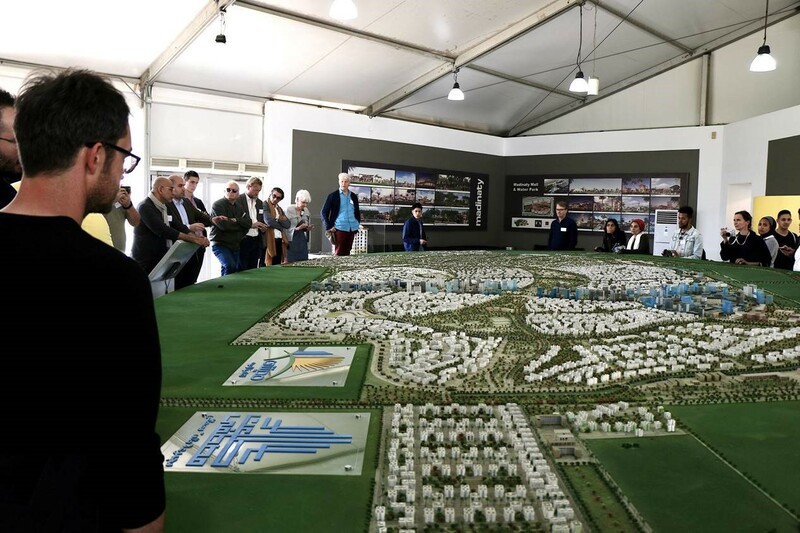 The excursion visited sites where informal construction has occurred, including different typology of informal settlements, public housing with informal extensions, and rural areas close to the city experiencing urbanization in an informal way. 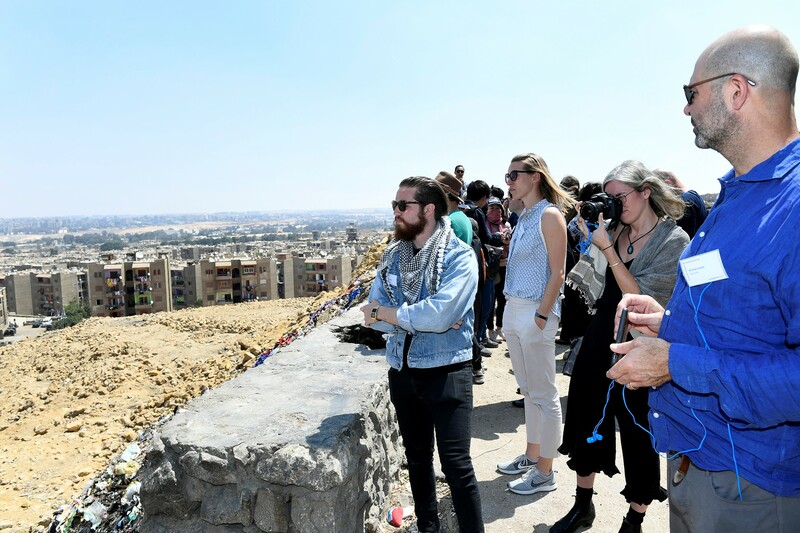 The excursion was led by Khaled Abdelhalim, Professor of Practice, Department of Architecture, AUC and Mohammad Abou Samra, Architect, Urban Planner & CEO, MIDAN and Founding Member & Programs Manager, TAKAMOL Foundation for Integrated & Sustainable Development. 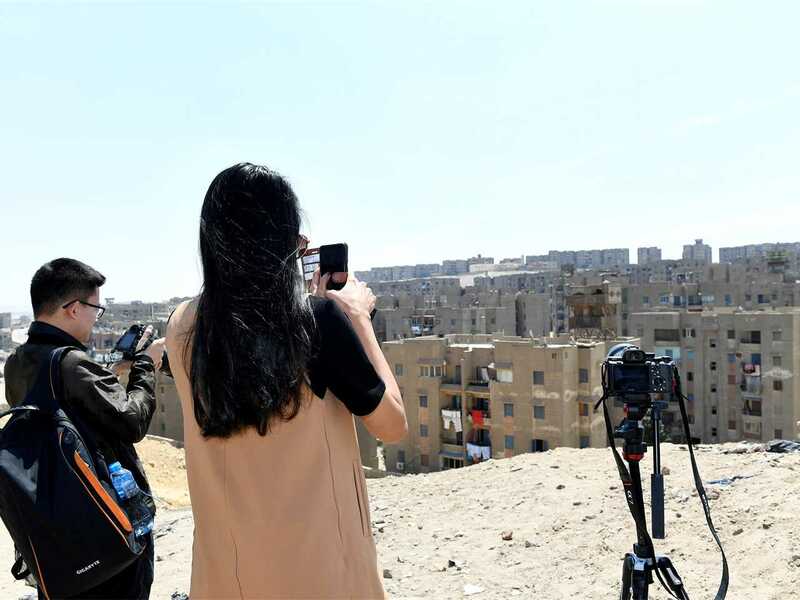 Desert cities – Orange Mobile Workshop provided a cross-sectional exposure to Egypt’s four generations of desert cities. The cross-section spans the diversity of planned objectives versus outcomes, as well as the 40-year learning curve across efforts to urbanize the desert – as an alternative to building on agricultural land. 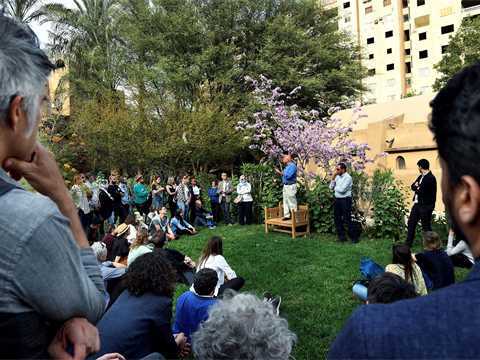 The tour was led by Amr Abdel Kawi, Professor of Architecture, AUC and Momen El-Husseiny, Assistant Professor of Architecture & Urban Design, AUC.